The Northrop Grumman MQ-8 Fire Scout is an Intelligence, Surveillance and Reconnaissance (ISR) vertical take-off and landing Unmanned Aerial Vehicle (VTUAV). The Fire Scout provides real-time and non-real-time ISR data to tactical users. The baseline MQ-8 can accomplish missions including over-the-horizon (OTH) tactical reconnaissance, classification, targeting and laser designation, and battle management (including communications relay). A deployed MQ-8B system is comprised of the air vehicle, payloads (i.e. electro-optical/infra-red/laser designator-range finder, Automated Identification System, communications relay, radar, weapons, and other specialty payloads), Mission Control Station (MCS) - with Tactical Control System (TCS) and Tactical Common Data Link (TCDL) integrated for interoperability, an Unmanned Aerial Vehicle Common Automatic Recovery Systems (UCARS) for automatic take-off and landings, and associated spares and support equipment. A limited number of land-based mission control stations supplement the shipboard systems to support shore based operations, such as pre-deployment or acceptance functional check flights. These land based mission control stations will also support depot level maintenance/post-maintenance activities. The MQ-8B Fire Scout has a four-bladed rotor and is powered by a single Rolls-Royce M250-C20W turboshaft engine (the M250-C47B/E powers the MQ-8C) and launches and recovers vertically, and can operate from air-capable vessels such as the Littoral Combat Ship (LCS), as well as confined area land bases. Interoperability is achieved through the use of TCS software in the ground control station, and through the use of the TCDL. The MQ-8B is capable of continuous operations providing coverage as much as 110 nautical miles (127 miles/204 km) from the launch site. The baseline configuration with a FLIR Systems BRITE Star II EO/IR sensor payload and a laser pointer/laser rangefinder, enables the Fire Scout to locate, track, and designate tactical targets in support of Navy strike platforms. 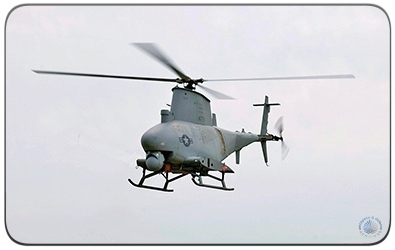 On April 23, 2012, Northrop Grumman was awarded a contract to build a minimum of 28 new MQ-8C Fire Scout UAVs (aka Fire-X Endurance) based on the proven Bell 407 airframe. The new 'C' variant provides greater range, endurance and payload capacity. Under the terms of the contract, Northrop Grumman will produce a total of eight UAVs for an amount not to exceed $262 million. Final assembly of the new MQ-8C variant will take place at Northrop Grumman's Unmanned Systems Center in Moss Point, Mississippi. On October 31, 2013, the MQ-8C made its first flight at Naval Base Ventura County in California. The MQ-8C is approximately 41.4 feet long (9.7 feet longer than the MQ-8B variant) and has a cruise speed of 161 mph, (34 mph faster that the MQ-8B). The MQ-8C has an endurance of up to 14 hours, which compares to 8 hours for the MQ-8B. The MQ-8C has an internal payload capacity of 1,000 pounds compared to the MQ-8B's 600 pounds. Also, the MQ-8C has a maximum sling load capacity of 2,650 pounds. On December 3, 2014, Northrop Grumman announced the delivery of the first operational MQ-8C Fire Scout to the Navy. 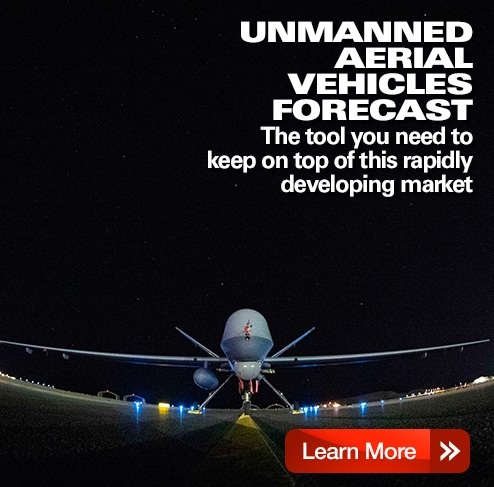 A 15-year MQ-8 production forecast is available through Forecast International's Platinum Forecast System, which includes a breakout of total market unit and value statistics by manufacturer and end-user. This real-time service also includes information on all prime and subcontractors, contract awards, worldwide inventories, a complete program history, and a rationale detailing the outlook of the program. 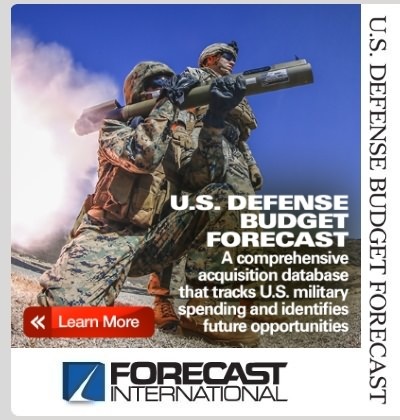 A 10-year MQ-8 production forecast is also available in report format through Forecast International's UAV Forecast service. Provides real-time and non real-time Intelligence, Surveillance and Reconnaissance (ISR) data to tactical users without the use of manned aircraft. The MQ-8 locates, tracks and designates tactical targets in support of Navy strike platforms. Also, the Fire Scout performs battle damage assessment missions.